We’re right in the middle of summer with still a month left until we go back, but all around the country I hear people going back already. 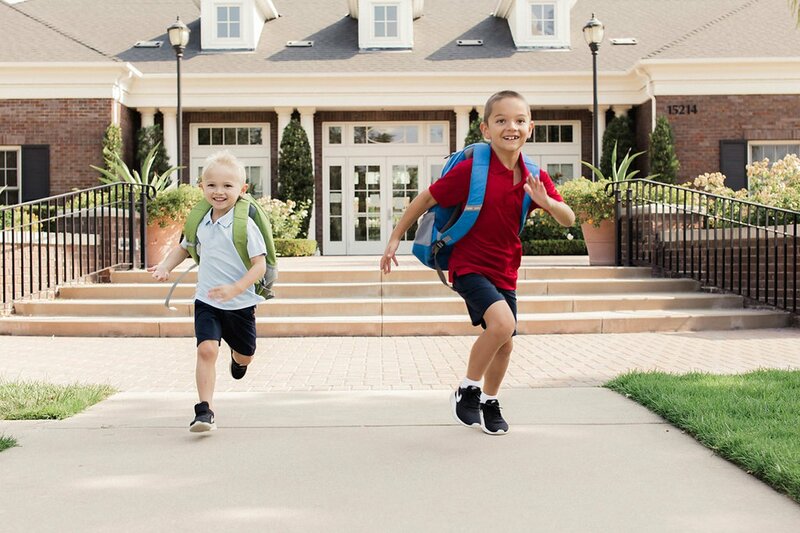 How is it possible we’re already talking about back to school?! But it’s actually nice to take care of some back to school shopping now so it’s not a crazy rush at the very end of summer. 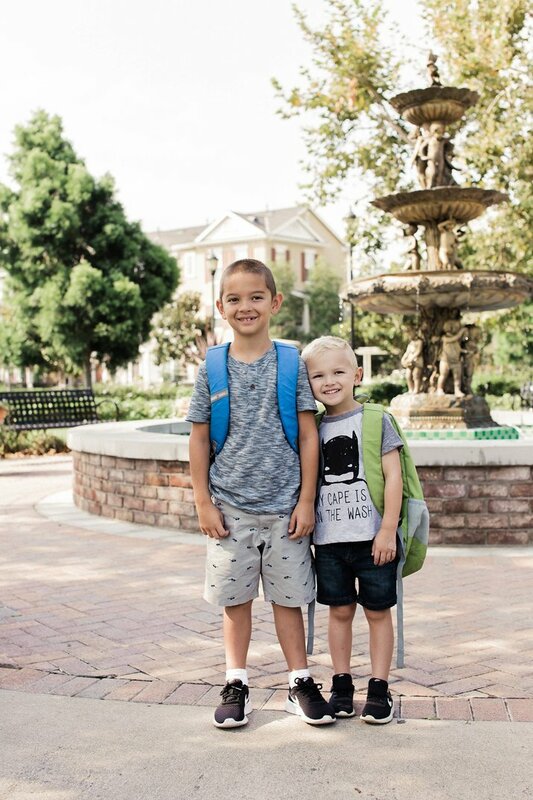 Kohl’s is one of my favorite places to buy clothes for my boys because they have good quality pieces at amazing prices, and a really good variety of clothing, both casual and dressy. We picked up some new shorts and tees for the boys, but since both of them will be in uniforms this year, I also picked up these polos and these shorts. Online they didn’t look like anything special, but when they arrived I realized they were all dry-fit material, so they’re really lightweight and super comfortable, and I was really pleasantly surprised that they had such a good fit! My boys beg to wear them, they’re that good! We even use the white polos for church underneath their suit coats and they’ll wear them all day with zero complaints! Kohl’s has a ton of other good tees and shorts even if your kiddos don’t wear uniforms to school. I love these little sunglasses shorts, and these tees are super soft and comfortable. 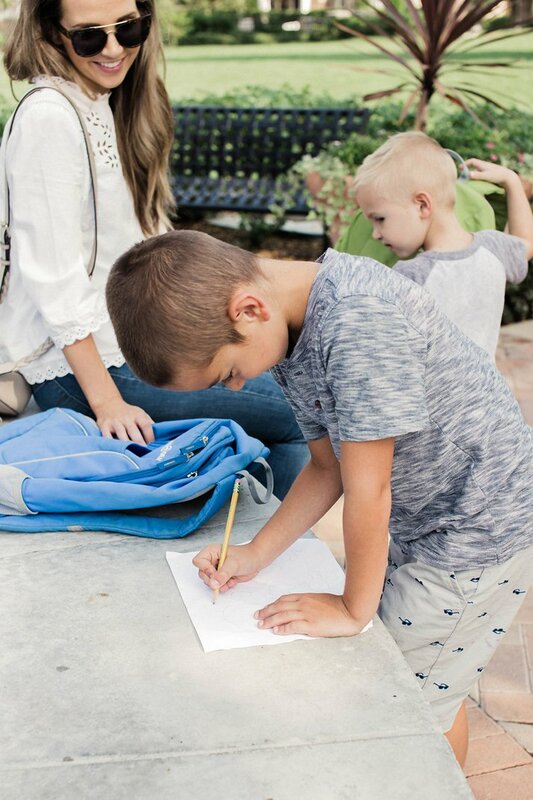 Even if you’re not going back to school for a little bit, take advantage of the Kohl’s Friends and Family Sale right now to pick up back to school clothing for your kids – you can pick up those first day of school outfits for such a steal, and you’ll be so glad when you don’t have to fight the crowds the week before school starts!